Tag&Rename 3.9.14 Portable ~ Apps2Portable | Free Portable Apps for PC ! 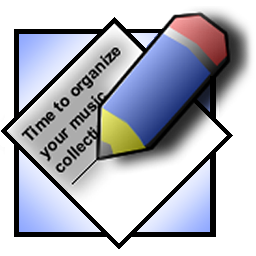 Tag&Rename is a music files tag editor that easily handles all popular digital audio formats. No matter what music compressor you prefer, you can keep your music collection organized with Tag&Rename. It is the only tag editor and organizer which has full native support for: mp3 (ID3v1, ID3v2.2, ID3v2.3 and ID3v2.4 tags), MusePack mpc/mp+ (APEv1, APEv2 and ID3v1 tags), Windows Media wma, asf and wmv files, Ogg Vorbis/Flac/Speex (vorbis comments), Apple iTunes and iPod aac (m4a) files including mp4, lossless m4a and protected m4p files, most popular lossless codecs including Monkey's Audio, Flac, Wav Pack, Optim Frog, True Audio, Apple, Windows Media lossless and Wav.